Sorting your emails into separate files is all well and good for a while, but what about when you have too many incoming emails to do it manually? Newsletter subscriptions add up fast. And that’s not even getting into Facebook notifications or mentions. Your important emails can be engulfed by all the junk mails. That’s why Gmail inbox category function is there to automatically sorts emails into categories. Learn how to customize your category and tried them in Shift! 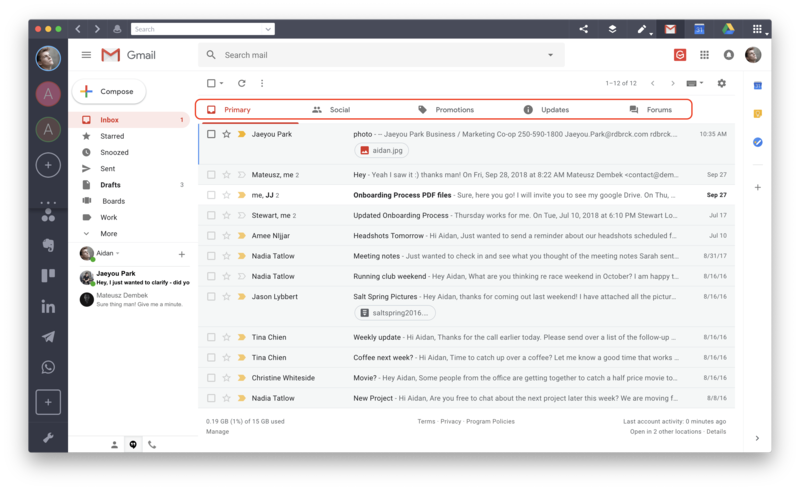 Unfortunately, there’s not yet a way to actively choose which mail gets separated into which category. That said, as Gmail smart compose shows, their engines are pretty smart and know where the emails go. Just a heads up, the categories, unfortunately, do not apply across all your Gmail accounts. But that’s where Shift comes in to save the day. 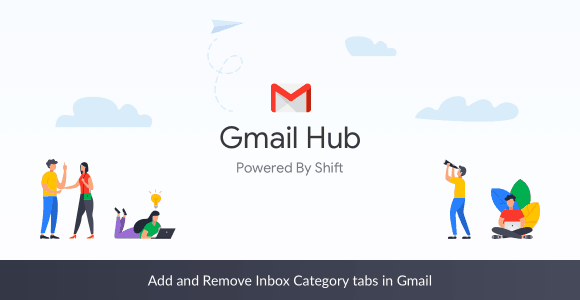 Switch between multiple Gmail addresses and configure the inbox category tabs to your taste! Generally, messages from your social networks are sorted into here. Emails from LinkedIn and comments from Facebook or Instagram will filter into here automatically. Similar to getting a bill through the mailbox, this category sorts out the boring-but-necessary emails. Uber receipts, bank summaries, and phone bills all go in here. Online mailing lists and chat rooms didn’t end in the early 2000s, and they’re still going strong. However, you don’t really want to see all your mailing lists as soon as you open your inbox… even if you like them. If you’re not down with an organized inbox or have your own way of doing it, you can hide the categories you don’t want to see. When Gmail first rolled out its categories, a lot of people found them confusing. However, you’ll find it hard to remember ever not using them, once you realize how handy they actually are.